#BridalBeauty: Homemade Face Packs And Products That Are Perfect For Oily Skin! Does your makeup constantly slip and slide off your face? Is your skin always shiny and greasy? Always breaking out? Are your pores clogged and you’ve got blackheads and whiteheads? This sounds like a classic case of oily skin. Don’t fret though, as when you grow older you will be grateful for it. This is because if your skin is oily, you age slower as compared to people with dry skin. So that means if you have oily skin, wrinkles and fine lines take longer to develop! 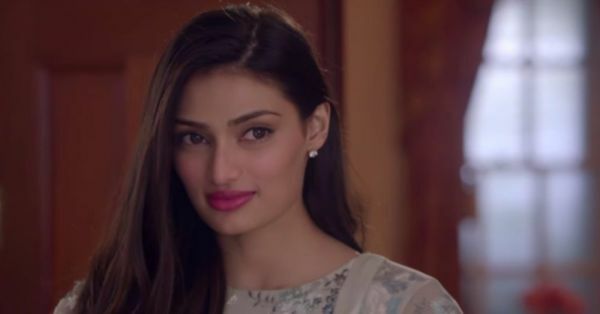 But armed with the right home remedies, you can totally make your skin look flawless and fabulous. Oily skin is caused by very enthusiastic, overactive sebaceous glands. When your sebaceous glands go into overdrive, they produce more oil than your skin needs, which then results in an imbalance. This imbalance messes with the optimal pH balance required for a healthy complexion and causes your skin to either be too oily or too dry. Oily skin is caused by a number of factors ranging from your age to your genetics. 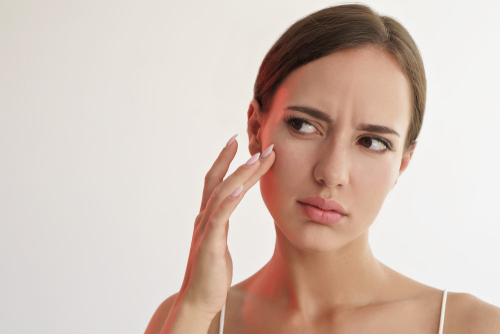 Figuring out what exactly is causing your skin to be so oily might take a little trial and error. Be patient and try to figure out if any one of the causes listed below is causing your skin’s oil glands to go into overdrive! The first, most common cause of oily skin is overactive sebaceous glands. If someone in your family has oily skin, you might be more prone to it too. If you have an existing hormonal imbalance or problems like PCOS or PCOD oily skin might be a result of this imbalance. Fixing the underlying cause of the imbalance usually fixes extremely oily skin. Believe it or not, even if you have oily skin, you NEED to be moisturizing it! Not using a moisturiser causes your skin to overcompensate and produce more oil. Find an oil-free, gel-based moisturiser. These formulations are perfect for oily, acne prone skin. Washing your face twice a day is considered good for your skin, but any more than that and you might end up stripping your skin of its natural oils. This also causes your skin to produce more oil to compensate for the dryness caused by over-cleansing, ultimately leading to oily, irritated skin. Using the wrong skincare products can also be causing your skin to be oily. You should switch up your skincare routine depending on the season and the kind of weather you live in. If you’re using your summer skincare products in winter and vice versa, they might cause your skin to be too oily. If you live in a very hot, humid city, chances are that your skin is going to be oily. Using mattifying skin care products, toners and serums will help keep your oily skin in check. Oily skin is hard to deal with, no matter your age. It makes your skin greasy, makes makeup slip and slide, and makes it virtually impossible for your skin to look matte for too long. It causes acne, blackheads, blemishes and clogged pores and makes it hard for you to find skincare and makeup that works for you. Find yourself a routine that works with your oily skin and you won’t ever complain. A Cleanse, Tone and Moisturise (CTM) routine will be extremely beneficial for your skin type. Find yourself some products that will control oil production while balancing your skin’s pH levels. Read this post to know more about CTM routines. Look for a cleanser that will clear oil and dirt trapped under your skin and toner that will help balance out your skin. If you have oily skin, you should invest in a good quality oil-free moisturiser that won’t clog your pores or cause acne. Look for gel-based products that have oil-free and non-comedogenic listed on their labels. There are many things that you can do to help your oily skin. It all starts with skincare and the products you use. Usually, the ingredients that help deal with oily skin also help deal with other problems like acne and clogged pores. Look for ingredients like tea tree oil, sulfur, calamine and zinc, salicylic acid, benzoyl peroxide, witch hazel, clay, Dimethicone, niacinamide and retinol. These will help heal blemishes, treat acne, get rid of excess oil on your skin and prevent further breakouts. If you’re looking for natural skincare ingredients to help deal with acne and oily skin, then gram flour, turmeric, fullers earth, orange peel powder, sandalwood powder and kaolin clay are great options. Combine all the ingredients in a small bowl and apply the paste to your face. Leave this pack on for a good 15 minutes, and apply it once a week for best results. Mash one ripe banana and add to it a teaspoon of honey and the juice of one lemon. Keep the pack on for a good 20 mins before washing it off with lukewarm water. The lemon will also help you get rid of that tan! Oily, combination skin? Avocado and Oatmeal are a match made in heaven. Avocados will nourish your skin, while oatmeal will soothe and exfoliate. Oily and acne prone skin? Avocado comes packed with minerals, Vitamin E and unsaturated fats too. Oatmeal, on the other hand, forms a protective layer on your skin while also removing dead cells. Take half an avocado and toss it into a blender. Add some water to make a paste. Add oatmeal to the mix until you have a thick paste. Apply it on your face for 15 - 20 minutes. Using it once in 15 days will do your skin some good! 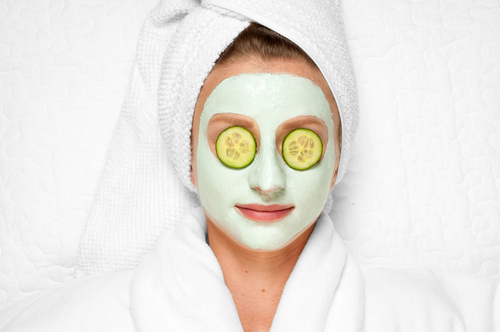 Cucumbers are known to cool and soothe your skin, while kaolin clay is great for oily skin. The Kaolin will draw out all the impurities from your skin and the cucumbers will soothe, depuff and cool your skin. It’s the perfect face mask to apply during summer. And for some additional cooling, you can cut two slices of cucumber and place them over your eyes. Keep the cucumber juice in the refrigerator for 10-15 minutes. Once chilled, mix it with the kaolin clay and apply it to your face, and let it sit for 15 minutes. Rinse it off using lukewarm water and apply some aloe vera gel to hydrate. Papaya is great for every skin type and it sure does work wonders on oily skin. It helps remove excess sebum from the skin while also gently exfoliating it. The extracts present in papaya also brighten your skin and help fade pigmentation and suntan, giving your skin a beautiful glow. Just mash a bowl of papaya and apply it on your skin to remove dirt, dead skin cells and also to minimise your wrinkles. Regular use will also help you get rid of oily skin. Make a thick paste of all the ingredients. You can even add a few drops of milk to prevent dryness. Apply it to your face and neck and leave it on for 15 minutes. Wash it off with lukewarm water and moisturise your skin. 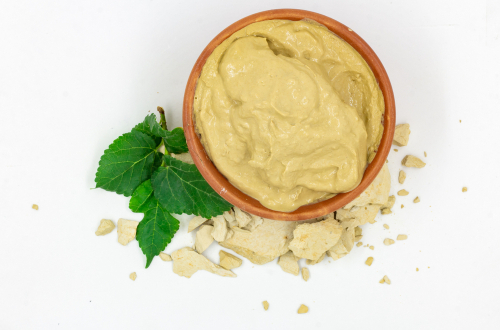 Multani mitti has oil-absorbing properties and will help reduce acne, redness and greasiness on the skin. 7. Rice Flour To The Rescue! Brew three teaspoons of green tea and mix it with an equal portion of rice flour once cooled. Add a few drops of lemon to get a thick paste. Apply this paste to your face and keep it on for 20 minutes before washing it off with cool water. If you don’t want to use this mixture as a face mask, you can use it daily as a face cleanser too! 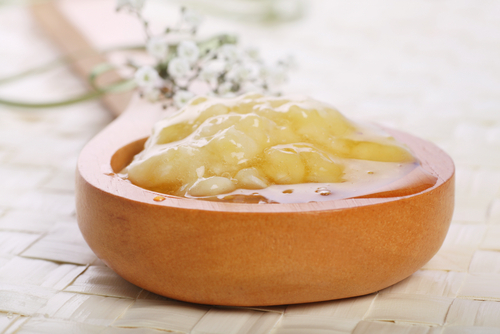 While home remedies are great for oily skin, they can only do so much. It’s very important that you supplement your home remedies with a good skincare regime. Adding products that are designed to work for oily skin types to your daily routine is very important. Many times, using the wrong products in your routine is the root cause of excessively oily skin. Here’s a comprehensive list of every type of skincare product you need in your daily routine that will help you keep the oil at bay. Start your routine by using a cleanser that will help deep clean your skin and reset your pores. This face wash from Neutrogena is perfect for anyone with oily or acne-prone skin. It will help get rid of oil, dirt, dust and any makeup on your skin. Use it twice a day and follow it up with a toner and a moisturiser. Toner is the second step of your skincare routine. It’s going to help double cleanse your skin and get rid of any dirt, dust or oil your face wash missed. The toner also helps balance your skin and bring it back to its optimal pH level. Using a toner also helps your skin absorb other skincare treatments better. Let the power of K-beauty wow you. This toner from renowned K-beauty brand Klairs will deep cleanse your skin while calming and soothing any irritation. It’s perfect for all skin types. A moisturiser is an essential part of your routine, and should be the last step of your routine. No matter how oily your skin is, you need to moisturise. Use an oil-free, gel-based moisturiser like this one from Clinique to keep your skin soft and supple all day long. When your skin is oily, it also tends to be more susceptible to dry and dead skin cells. This just means that you should exfoliate your skin once or twice a week. A scrub that also has oil absorption properties is perfect. This face scrub will help deep cleanse your skin and get rid of any dead skin and other imperfections like blackheads and whiteheads. People with oily skin are more prone to blackheads and whiteheads. While a good CTM routine helps keep these blackheads and whiteheads at bay, a nose pore strip is often an easy solution when all else fails. The strip is essentially meant to be stuck onto your nose and has clay, charcoal and other oil absorbing ingredients. The pore strip glues itself to blackheads and whiteheads and when you peel it away, you’ll see tons of tiny black and whiteheads get pulled away. Honestly, it is very satisfying to see all the dirt being pulled out of your nose! You can use a nose pore strip once a week or once a month, depending on how severe your problem is. A face mask is the perfect way to relax on a lazy sunday afternoon and pamper your skin. A clay mask or a mask that has charcoal like this one is perfect for anyone with oily skin. It will mattify your skin while drawing out any imperfections. If you’re looking for an all-natural face pack, look out for one that has sandalwood and clay. Sandalwood helps deal with acne, oily skin and heals blemishes while brightening. This one from Kama Ayurveda has all the good things you’d ever want in a face pack. Mix it with a little rose water and apply it to your skin once a week. Bet you didn’t think a sheet mask could be designed to work for oily skin, did you? Sheet masks are my favourite way to indulge myself with a little love. I try to do one at least once a week. In my opinion, the best time to apply a sheet mask is at night. While you could even apply a sheet mask before getting ready in the morning, when you do apply it at night, it’s going to allow the moisture from the mask to penetrate into your skin and give you glowy skin the next day.